I know the road to publishing is oft times, bumpy, discouraging and can make quite the cranky writer from time to time. It’s human nature to shy away from rejection. Let’s face it, rejection hurts. The most important lesson I’ve learned during my quest for representation is this: keep trying. Sounds simple right? Too simple. But it’s the truth, trust me. I’ve read agent blogs, blogs from other writers and many other articles where the advice was very much the same. In the beginning it was a hard thing to imagine. Why keep trying when I’ve been rejected before? How can I possibly catch an agent’s eye? The answers are glaringly staring at you. In fact, they’re waving frantically, trying to gain your attention writers. Keep trying. The first book I wrote was a definite learning experience. I did everything I was supposed to. I labored over my query letter, I revised, shelved it, brought it back and edited it some more. (After of course doing the same thing with my manuscript.) I reduced the entire conflict of my story into that sweet spot of 250-350 words. By the time I sent it out to the first batch of (well researched) agents, I was feeling pretty good. Then my first form rejection rolled in. No matter how much you prepare yourself for rejection, it’s never easy and stings a little. I’m an eternal believer that the glass will forever be half full. After all, if your glass is half full you have less of a chance of spilling anything on yourself. So instead of wallowing in rejection, I researched more agents, picked up some books they’d represented and hit the pavement again. I’d like to say that offers started pouring in one after the other, but unfortunately that didn’t happen. What did happen was something I didn’t plan for. Which was really strange, since I had been methodically plotting out each of my (writing) business maneuvers. I became engrossed with another story and got to work writing. 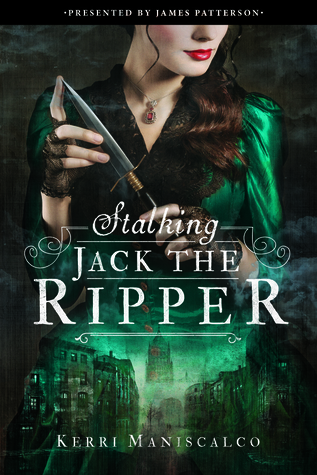 Before I knew it my second novel was completed and I was already working on a follow up. The characters felt like close friends and the writing was coming along nicely. Of course I still had to edit and revise and rewrite and all that super fun stuff, but I was staying true to the story I was dying to tell. I crafted my query letter, made lists of agents that represented my genre and sent out five letters. Funny thing happened this time around. An email came through asking for a partial, synopsis and bio. It was like walking through a dream. Then a personalized rejection came across my email. They used my name, book title, quoted favorite passages and even commended me on my writer’s voice. Slight disappointment, but w-o-w all the same. The next day I was staring back at my very first full request. While I was insanely excited about the requests, I didn’t stop there. 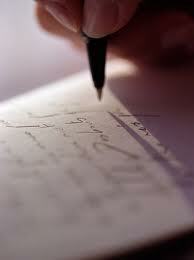 I continued to research agents, continued to send out more query letters and most importantly continued to write. You never know when your next great work will be told. A quote I read from Jack London stuck with me one day a few months back when I was feeling anything but inspired to keep writing. That’s exactly what I did. I wrote on days I didn’t feel like it and amazingly the words still managed to flow. Try it sometime. I know you can do it too. Take the positives from any rejection you may encounter on your road to representation. It will add to your character and will be something you can look back on one day. Rejection may sting, but eventually you build a tolerance. The right doors will open for you as long as you keep knocking. 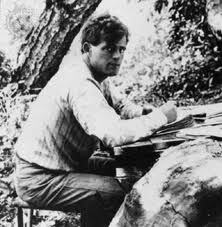 Keep writing, because that’s what Jack London would tell you to do. You’ll get there. Posted on August 14, 2010 August 13, 2010 by Kerri Maniscalco	This entry was posted in Getting Started, Inspiration, Literary Agents, Query Letter, Quotes, Writing and tagged Jack London, Twitter, Writing. Bookmark the permalink. You provide solid advice. I’ve always heard similar in undergraduate and graduate workshops. I’ve entered the professional world of policy research these days, but no matter what you practice or what you do for monetary gain — there is always rejection around the corner. It’s all about building the strength to be rejected, and I feel that theme in this post. Thank you for sharing your story, and true honesty of your journey. Rejection can be brutal, but if you believe in what you are writing about, then yes you need to reverse your emotions if you can and make determination your next emotion. Appreciation of determination, is something I have written about, and I believe it has helped me overcome the negaives times, we fall but need to get up and then run for it. I wish you well in your life and ventures. Thank you for your kind and encouraging words Juliana. I wish you much luck on your writing journey as well 🙂 Keep up the good work – I for one can’t wait to read some of your uplifting pieces on determination!